A thread between reality and fiction, utopian pasts and possible futures, theories and realisations: AP presents 'Reasonable Dreams', a curated exploration of Valletta’s rich architectural spirit. 'Reasonable Dreams' represents the identification of an architectural firm with the visions and inspirations that fed the most influential architectural projects in Valletta. Conceived by AP, the exhibition is a thoughtful journey through the city’s transformation, linking past and future seamlessly around three main axes: historical dreams, realised dreams, and the fragmentation of time-space through artistic dreams. Changes to the urban fabric of Valletta as a capital city are revealed through an empathy with the origins of planned and realised capital projects that have contributed to the transformation of Valletta from its Renaissance beginnings to its current revival through projects such as the City Gate project by RPBW, or the Barrakka Lift by AP. 'Dreams' are understood here not merely as manifestations of an oneiric state, but, rather, as the origins of the creative process that find their way into the founding myths of the city. These are expressed through the tensions created by the juxtaposition of historical and modern-day urban dreams, and the questioning of their contemporary relevance. 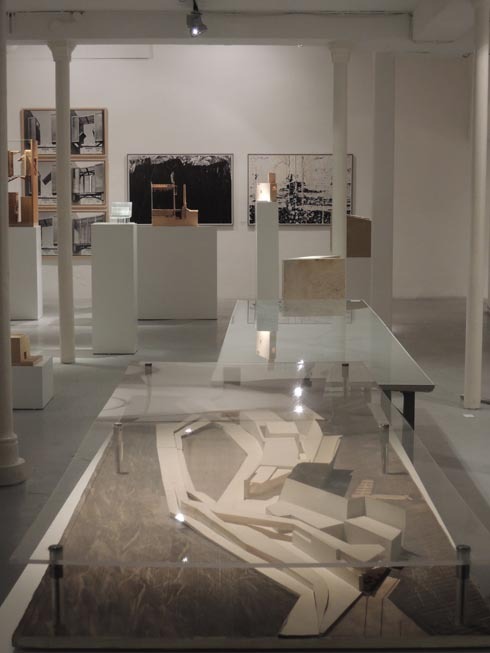 The exhibition includes drawings, models, video installations, sculptures and historical plans. Artistic dreams inspired by the current remodeling of Valletta's urban fabric are represented in the works of Alex Attard (Malta), Riet Eeckhout(Belgium), Bettina Hutschek(Germany) and Jon Tarry (Australia), and serve as a springboard for new explorations and proposals. We would like to express our sincere gratitude and appreciation to the following, without whom this project would not be possible. Halmann, Parliamentary Secretariat for Culture and Local Government, Institute for Maltese Culture, Malta Tourism Authority, HSBC, AP, Express Group, Bertazzon, Ministry for Foreign Affairs Cultural Diplomacy Fund, Frank Salt Real Estate, SAW, Culture 3 Sixty, Finance Malta, Valletta 2018 Foundation. For further information visit the gallery’s website.